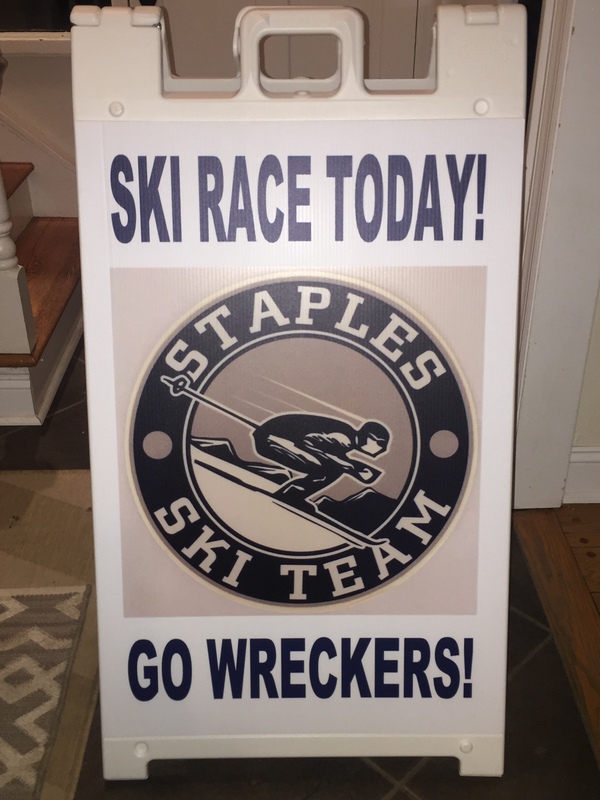 Thanks to the sale of those invaluable Staples Ski Straps, the team has a sandwich board! Look for it outside the Staples’ entrance today and on every race day! And if you’re still interested in ski straps, see Charlie or Ben Howard or email mbohoward@aol.com $10/pair. Finally, thanks to the Buckman’s for hosting last night’s pasta dinner and to all those who contributed – these dinners wouldn’t be such a success without everyone’s contribution. The next dinner will be in early February and the Signup Genius will be available shortly. Keep checking the website for details.